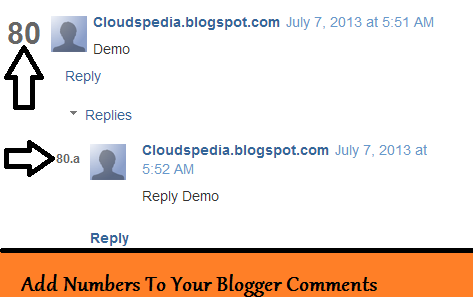 Today I am going to share an amazing widget which is Add Numbers To Your Blogger Comments. This helps the visitors to see how many comments you get. It is just like ordered list <ol>. Blogger blogs always uses this <ol> tag to display the comments in vertical order. Each comment hold it's own number. That's It Now Save It And Check It ! ! !